Figure 12. 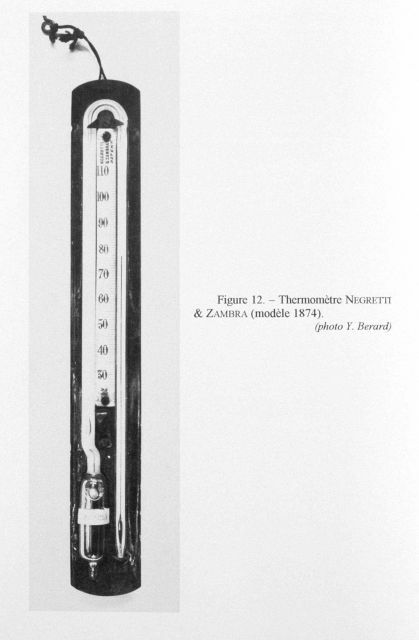 Negretti and Zambra thermometer, 1874 model. Although the principle of reversing was first described by George Aime’ in 1845, this was the first thermometer to accurately determine the temperature at great depth and return to the surface and retain its readings. As such, it is considered the first modern reversing thermometer. It was used on the CHALLENGER expedition.